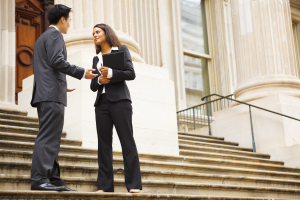 Are employers finally winning when it comes to FCRA lawsuits? FCRA compliance violations have been the subject of frivolous lawsuits brought against employers. A recent Virginia Federal Court found that a plaintiff lacked standing to sue a company for obtaining his consumer report without a permissible purpose (Dilday v. DIRECTV). At the heart of this case, the plaintiff claimed that DIRECTV obtained his consumer report from Equifax, but that he never had an account with DIRECTV. Contending that Equifax didn’t have a lawful or reasonable basis to believe that DIRECTV had a purpose to obtain and use his consumer report, he is entitled to damages. However, the plaintiff failed to plead exactly what those damages were. Let’s back up just a bit. You may recall the Spokeo, Inc. v. Robins case that involved whether a person can bring a lawsuit when a company violates a federal privacy law. To do this, a plaintiff must have “standing” to sue. Spokeo argued that the case should be dismissed because the plaintiff didn’t prove “a concrete injury” (i.e. real and not abstract) due to a violation of the FCRA involving the publication of the plaintiff’s inaccurate personal information. The U.S. Court disagreed and denied Spokeo’s motion to dismiss, and Thomas Robins prevailed, suing Spokeo for willful violations of FCRA charging that the inaccurate information harmed his employment prospects. Because data brokers sell tremendous amounts of sensitive consumer data, often without verifying its accuracy or completeness, inaccurate data can have dramatically negative effects on individual consumers. The Court maintained the ability of consumers to use privacy and consumer protection laws to hold data collectors accountable for misuse of personal data. With the growing problem of data breaches and identify theft in the U.S., federal privacy laws are more critical than ever. The notion that the FCRA creates a broad right to privacy and that FCRA violations cause “privacy issues” was rejected in Dilday. The judge noted “[w]hen a plaintiff alleges a statutory violation, he usually must plead an additional injury in order to satisfy the concreteness requirement” discussed in the Spokeo case. He further explained that while sometimes a violation of a statutory right is itself a concrete injury, the situation was a narrow exception where Congress codified a cause of action with intangible harms where recovery was permitted at common law. The court went on to say that the right to privacy protected at common law was a narrow right applied only when highly offensive information became a matter of widespread, public knowledge. However, providing a consumer report to a user does not fall within that category. The Plaintiff could have only proceeded if the statutory violations were sufficient to constitute a concrete injury. However, the allegations did not themselves constitute an injury-in-fact in this case. Hire Image is hopeful that more opinions such as this in favor of employers are to come. 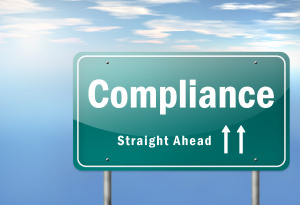 However, it does not mean that employers can now simply ignore FCRA compliance. Perhaps frivolous lawsuits and intense scrutiny on conducting background checks may subside but, until then, following the rules is critical. For more information on FCRA compliance click here. Responsible employers screen applicants and employees to protect the safety and welfare of their workforce and the community and to comply with state and federal law. Working with background screening companies, employers are able to identify and address possible risks. But this responsible practice may lay the groundwork for a class action lawsuit if an employer does not mind the details. Background checks are covered by the Fair Credit Reporting Act (FCRA). Under the FCRA, an employer seeking to obtain a background check on an applicant or employee must follow certain requirements that are unique to employment: written disclosure; written consent; and, where applicable, pre-adverse action notices. Because these requirements may apply to each screening, any failure in compliance is an attractive target for class action attorneys because the violations may be numerous and similar. The best illustration of this risk is in the recent spate of class action cases concerning the written disclosure requirement. The FCRA requires that, before an employer can obtain a report, it must provide the consumer with a “clear and conspicuous disclosure…in writing” that a consumer report may be obtained for employment purposes. The disclosure must be provided to the consumer “in a document that consists solely of the disclosure.” This last provision is the one that trips many employers up – usually because they are trying to combine other relevant notices and helpful information with the required disclosure. One word of advice: Don’t. A number of cases are still in litigation, but several have settled for sums ranging from $1.75 million dollars to $13 million dollars. This is because the exposure can be very high: the FCRA permits statutory damages ranging from $100-$1000 per violation (plus attorney’s fees), and current case law has permitted these cases to proceed even in the absence of any actual damages. Unlike other consumer protection statutes, the FCRA does not contain a cap on class action damages. The lesson for employers is to review the forms that you are using, including any sample forms provided by your screening provider. Make sure that the disclosure forms do not contain any “extras.” Note: the FCRA specifically allows an employer to include the written authorization with the written disclosure, and employers may prefer to collect the consumer’s signature on a combined disclosure/authorization document as proof that the applicant was provided with the written disclosure. Just be careful that the addition of the authorization does not come with any unwanted baggage. Rebecca E. Kuehn (rkuehn@hudco.com) is a partner in Hudson Cook, LLP’s Washington, D.C. office. Ms.Kuehn’s practice is concentrated on regulatory issues surrounding the collection, sharing, and use of consumer data, and she counsels financial institutions, consumer reporting agencies, service providers, and others in complying with federal and state laws, including the Fair Credit Reporting Act, the Gramm Leach Bliley Act, and other privacy laws and regulations. She represents clients before federal and state agencies, particularly the Federal Trade Commission and Consumer Financial Protection Bureau, in investigations and other proceedings, and has served as an expert witness in cases involving the Fair Credit Reporting Act. The question of whether a plaintiff has standing to bring a claim for statutory damages in the absence of any injury in fact is currently pending before the United States Supreme Court. The following article was written by Montserrat Miller, co-chair of Arnall Golden Gregory’s Background Screening Industry Group, and is being published here with her permission. Ms. Miller’s blog, Workforce Compliance Insights, covers legal issues, developments and noteworthy events in two areas. First, the background screening industry, including both users of background checks as well as providers of the reports. Second, immigration compliance and specifically the Form I-9 and E-Verify. Under the FCRA employers have an obligation to provide the job applicant with a “clear and conspicuous” written notice, in a stand-alone document, explaining to the job applicant that a background check will be conducted for employment screening purposes. 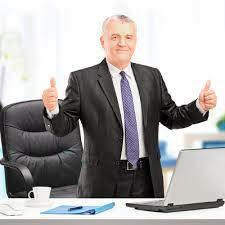 Thereafter the employer must secure the job applicant’s written authorization for said background check. (15 U.S.C. § 1681b(2)(A)) Separately, several states require that certain notices be provided by the employer with respect to a pre-employment screening background check to advise residents of additional rights. For instance, California, Minnesota, Oklahoma and New York. Plaintiff’s bar has been attacking the validity of the Notices employers provide on the grounds that they are not a “clear and conspicuous disclosure” and in a stand-alone document under the FCRA. This hinges on the argument that certain language in the Notice is extraneous, and the courts have held that in certain situations some language in the Notice can be extraneous, such as release of liability language. Stanford’s notice included the following in this order: the Consumer Disclosure and Authorization Form (separate page); Additional State Law Notices (CA, ME, MA, MN, NJ, NY, WA) (on two, separate pages); Authorization of Background Investigation (separate page); A Summary of Your Rights Under the Fair Credit Reporting Act; California summary of rights; New Jersey summary of rights; New York Article 23-A; Washington summary of rights. Montserrat Miller is a partner in the Privacy and Consumer Regulatory; Immigration; and Government Affairs Practice Groups at Arnall Golden Gregory. She assists clients with privacy and data protection-related matters, including counseling and defending companies regarding their compliance under the Fair Credit Reporting Act (FCRA), Driver’s Privacy Protection Act, Gramm-Leach-Bliley Act, Children’s Online Privacy Protection Act and state data breach statutes. Ms. Miller’s practice includes a special emphasis on the use of criminal and credit history information and compliance with the FCRA, Title VII of the Civil Rights Act of 1964 and state laws which impact the use of background checks for employment screening and tenancy purposes.